It’s not new news that the USPS is going through an immensely difficult transitional period at this point in time. Stamp prices are continually on the rise, Saturday delivery was on the verge of being canceled, and office closures and layoffs are occurring around the country. It’s not new news that the USPS is going through an immensely difficult transitional period at this point in time. Stamp prices are continually on the rise, Saturday delivery was on the verge of being canceled, and office closures and layoffs are occurring around the country. Much of the difficulties come from an increasingly competitive marketplace that’s cutting into the profits that the Postal Service used to have exclusive access to. Something has to be done if the USPS is going to bet back on secure ground. And while the USPS is struggling, big data is exploding. The technology is taking significant steps forward at an extremely rapid pace, making it more and more enticing to numerous different sectors. Big data analytics is becoming especially important because of the speed and accuracy with which the analyses can be performed. Instant big data is going from a hope in the future to a thing of the present. Together with big data, the USPS can take a significant step to finding firm ground and offering products and services that will satisfy customers for many more generations to come. The analytical ability of big data is especially important for the USPS, an entity that relies so much on speed and accuracy to get post and packages where they need to be, when they need to be there, and do it at a great price. Fortunately, the advances in big data technology mean it’s more affordable and usable than ever. With Hadoop as a Service, businesses of all sizes can have big data up and running in days and do it without expensive infrastructure. It’s a technology the USPS can afford to implement and one that will bring in numerous advantages. With that in mind, members of the USPS and big data gurus recently met to discuss implementing this technology. The overall sentiment was, fortunately, positive. So, how could big data positively impact the USPS and what might some of the challenges be to implement it? The three most important aspects to post are: 1. Safety 2. Speed 3. Price, not necessarily in that order. If the USPS wants to regain success of times past it’s got to improve in all three of these areas and big data can help them do that. 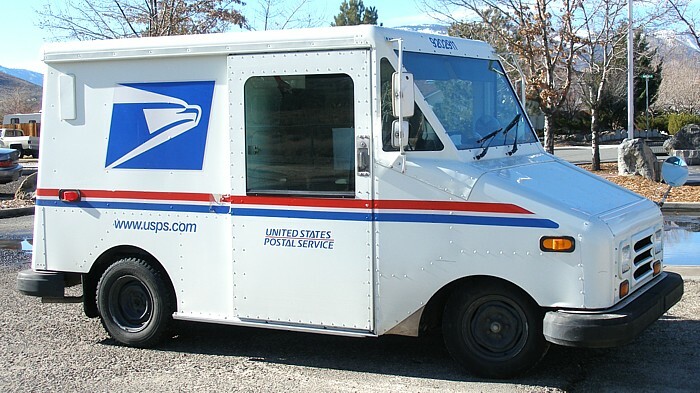 With big data the postal service can offer significantly improved tracking — something that impacts how customers feel about the safety and speed of their post. Instead of slow tracking that only identifies where the product was yesterday, customers will have access to instant tracking that identifies the current location of the product, when it’s estimated to be delivered and consequently be assured of it’s safety. Not only does this satisfy customer concerns, but it also assists the postal service in its own tracking. A significant amount of money is spent each year on postal insurance claims due to lost packages. Big data is a powerful tool to combat this. Big data can also assist the USPS in providing more accurate estimations. Instead of a three day range, senders can know the exact date that the package will be arriving. The increased efficiency that big data will bring to the postal service also means they can offer quicker service to customers. Technology improvements are drastically affecting the products and services that individuals require. Big data can help the USPS stay ahead of the curve on product offerings in order to set themselves apart from competition. The amazing analytical abilities of big data are especially important in this regard. Not only can big data monitor all the packages the USPS is sending, but it can combine that information with other data from the internet to provide customers exactly what they’re looking for. Big data makes it easier to spot weaknesses and it makes it easier and, consequently quicker, to fix them. Notwithstanding the amazing benefits that big data technology would bring to the USPS there are still obstacles standing in the way. One of those is establishing ways to ensure consumer privacy while still being able to glean the necessary information to improve products and services. Along with security concerns, the top executives also have to be convinced of the utility that big data would bring to the business. Change isn’t easy, especially when times are tough. It’s clear, however, that big data technology is something the USPS needs to implement if it’s to be successful in the future.